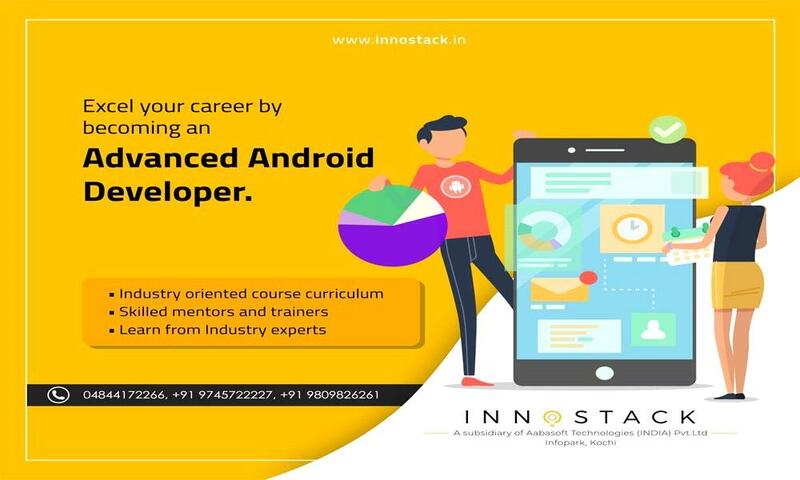 Android Training and Internship will be held from 4th February to 4th May 2019 at INNOSTACK, Kochi. Android is the most successful mobile operating system in the current market with over 1.5 million new devices activated every day. Android training will provide you with hands-on experience in designing and building simple to sophisticated Android apps making you adept in acquiring your dream IT job. Get set to advance your career in the world’s most popular mobile application development platform from Google with Innostack.